The literature on self-driving cars and ethics continues to grow. Yet much of it focuses on ethical complexities emerging from an individual vehicle. That is an important but insufficient step towards determining how the technology will impact human lives and society more generally. What must complement ongoing discussions is a broader, system level of analysis that engages with the interactions and effects that these cars will have on one another and on the socio-technical systems in which they are embedded. To bring the conversation of self-driving cars to the system level, we make use of two traffic scenarios which highlight some of the complexities that designers, policymakers, and others should consider related to the technology. We then describe three approaches that could be used to address such complexities and their associated shortcomings. 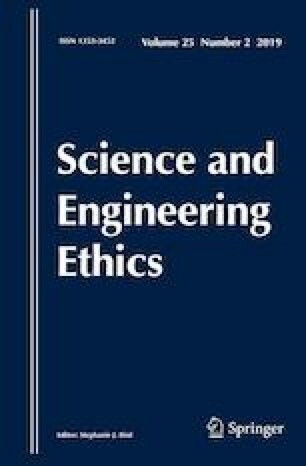 We conclude by bringing attention to the “Moral Responsibility for Computing Artifacts: The Rules”, a framework that can provide insight into how to approach ethical issues related to self-driving cars. Ackerman, E. (2016). The scary efficiency of autonomous intersections. IEEE spectrum, March 21. http://spectrum.ieee.org/cars-that-think/transportation/self-driving/the-scary-efficiency-of-autonomous-intersections. Accessed August 21, 2017. Ad Hoc Committee for Responsible Computing. (2010). Moral responsibility for computing artifacts: Five rules, version 27. https://edocs.uis.edu/kmill2/www/TheRules/. Accessed August 19, 2017. Anderson, B. (2015). Self-driving trucks could rewrite the rules for transporting freight. Forbes, December 8. https://www.forbes.com/sites/oliverwyman/2015/12/08/self-driving-trucks-could-rewrite-the-rules-for-transporting-freight/. Accessed August 16, 2017. Association for Safe International Road Travel (ASIRT). (2017). Annual global road crash statistics. http://asirt.org/initiatives/informing-road-users/road-safety-facts/road-crash-statistics. Accessed June 22, 2017. Beuse, N. (2015). Statement of nathaniel beuse, associate administrator for vehicle safety research, national highway traffic safety administration. Before the house committee on oversight and government reform hearing on “The Internet of Cars”, November 18. https://www.transportation.gov/content/internet-cars. Accessed October 19, 2017. CB Insights. (2017). 44 corporations working on autonomous vehicles, May 18. https://www.cbinsights.com/research/autonomous-driverless-vehicles-corporations-list/. Accessed July 22, 2017. Claypool, H., Bin-Nun, A., & Gerlach, J. (2017). Self-driving cars: The impact on people with disabilities. Ruderman Family Foundation. http://secureenergy.org/wp-content/uploads/2017/01/Self-Driving-Cars-The-Impact-on-People-with-Disabilities_FINAL.pdf. Accessed June 22, 2017. Eustice, R. (2015). University of Michigan’s work toward autonomous cars. http://www.umtri.umich.edu/sites/default/files/Ryan.Eustice.UM_.Engineering.IT_.2015B.pdf. Accessed July 5, 2017. Greenblatt, N.A. (2016). Self-driving cars will be ready before our laws are. IEEE Spectrum, January 16. http://spectrum.ieee.org/transportation/advanced-cars/selfdriving-cars-will-be-ready-before-our-laws-are. Accessed May 9, 2017. JafariNaimi, N. (2017). Our bodies in the trolley’s path, or why self-driving cars must *not* be programmed to kill. Science, Technology, & Human Values. https://doi.org/10.1177/0162243917718942. Krauss, M. J. (2017). Bikes may have to talk to self-driving cars for safety’s sake. NPR: All Tech Considered, July 24. http://www.npr.org/sections/alltechconsidered/2017/07/24/537746346/bikes-may-have-to-talk-to-self-driving-cars-for-safetys-sake. Accessed August 1, 2017. Lafrance, A. (2016). Will pedestrians be able to tell what a driverless car is about to do? The Atlantic, August 30. http://www.theatlantic.com/technology/archive/2016/08/designing-a-driverless-car-with-pedestrians-in-mind/497801/. Accessed August 16, 2016. Lee, T. (2017). Car companies’ vision of a gradual transition to self-driving cars has a big problem. Vox, July 5, https://www.vox.com/new-money/2017/7/5/15840860/tesla-waymo-audi-self-driving. Accessed July 22, 2017. Lewis, P., Rogers, G., & Turner, S. (2017). Beyond speculation: Automated vehicles and public policy—An action plan for federal, state, and local policymakers. Eno Center for Transportation. https://www.enotrans.org/wp-content/uploads/2017/04/AV_FINAL-1.pdf. Accessed August 1, 2017. Lin, P. (2013). The ethics of autonomous cars. The Atlantic, October 8. http://www.theatlantic.com/technology/archive/2013/10/the-ethics-of-autonomous-cars/280360/ Accessed August 1, 2017. Malesci, U. (2017). Why highways should isolate self-driving cars in special smart lanes. Venture Beat, April 25. https://venturebeat.com/2017/04/25/why-highways-should-isolate-self-driving-cars-in-special-smart-lanes/. Accessed August 17, 2017. Miller, K. (2011). Moral responsibility for computing artifacts: ‘The Rules’. IT Professional, May/June, 57–59. http://ieeexplore.ieee.org/stamp/stamp.jsp?arnumber=5779006. Accessed July 21, 2017. Moor, R. (2016). What happens to American myth when you take the driver out of it? The self-driving car and the future of the self. New York Magazine, October 16. http://nymag.com/selectall/2016/10/is-the-self-driving-car-un-american.html. Accessed August 16, 2017. National Highway Traffic Safety Administration (NHTSA). (2015). Critical reasons for crashes investigated in the national motor vehicle crash causation survey. http://www-nrd.nhtsa.dot.gov/pubs/812115.pdf. Accessed June 22, 2017. National Highway Traffic Safety Administration (NHTSA). (2016). Federal automated vehicles policy: Accelerating the next revolution in roadway safety. https://www.transportation.gov/AV/federal-automated-vehicles-policy-september-2016. Accessed October 19, 2017. Ockedahl, C. (2016). Could autonomous vehicles be end of the road for traffic lights? Forbes.com, April 18. http://www.forbes.com/sites/trucksdotcom/2016/04/18/could-autonomous-vehicles-kill-traffic-lights/. Accessed July 21, 2017. Rogers, G. (2017). House E&C considering 16 automated vehicle bills—Here’s what’s in them. Eno Transportation Weekly, June 5. https://www.enotrans.org/article/house-ec-considering-16-automated-vehicle-bills-heres-whats/. Accessed July 22, 2017. SAE International. (2016). Taxonomy and definitions for terms related to driving automation systems for on-road motor vehicles J3016. http://standards.sae.org/j3016_201609/. Accessed July 17, 2017. Setyon, J. (2016). NTSB chairman: Driverless cars could save 32,000 lives a year. CNSnews.com, July 1. http://www.cnsnews.com/news/article/joe-setyon/ntsb-chairman-driverless-cars-could-save-32000-lives-year. Accessed June 22, 2017. Sisson, P. (2016). Why high-tech parking lots for autonomous cars may change urban planning. Curbed, August 8. https://www.curbed.com/2016/8/8/12404658/autonomous-car-future-parking-lot-driverless-urban-planning. Accessed June 22, 2017. Tech Policy Lab. (2017). Driverless Seattle: How cities can plan for automated vehicles. University of Washington. http://techpolicylab.org/wp-content/uploads/2017/02/TPL_Driverless-Seattle_2017.pdf. Accessed July 7, 2017. The Economist. (2014). What a ride, October 4. http://www.economist.com/news/asia/21621880-they-have-been-rolling-50-yearsand-without-fatal-accident-what-ride. Accessed July 22, 2017. US Department of Transportation (USDOT). (2016). Automated vehicles policy fact sheet overview. https://www.transportation.gov/AV-factsheet. Accessed January 17, 2017.